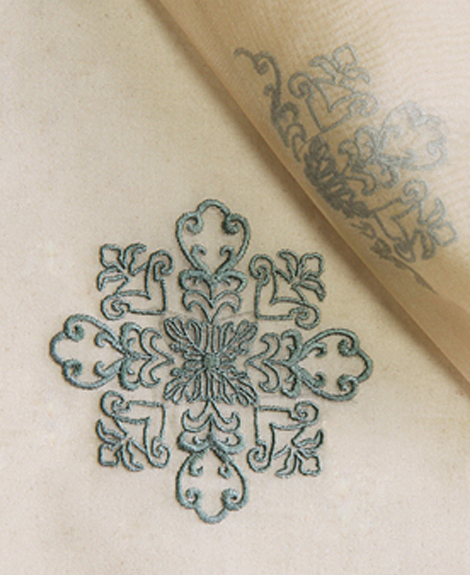 This gorgeously embroidered fabric will easily complement any decor theme in your home. 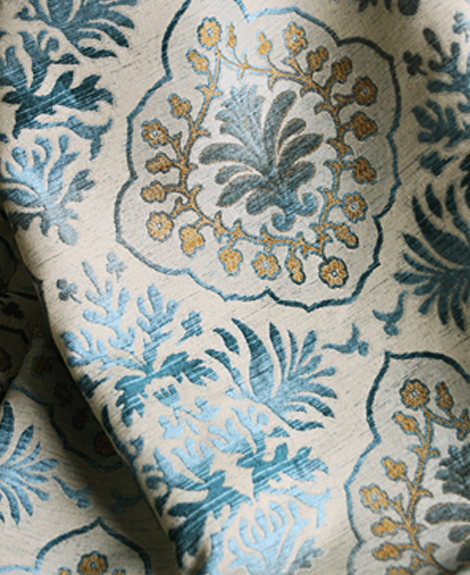 With its shades of cool blue-grays and warm tans, the graceful floral design is perfect to use for the upholstery on a side chair, throw pillows, or luxurious drapery. Mix it with a stripe for a contemporary look. 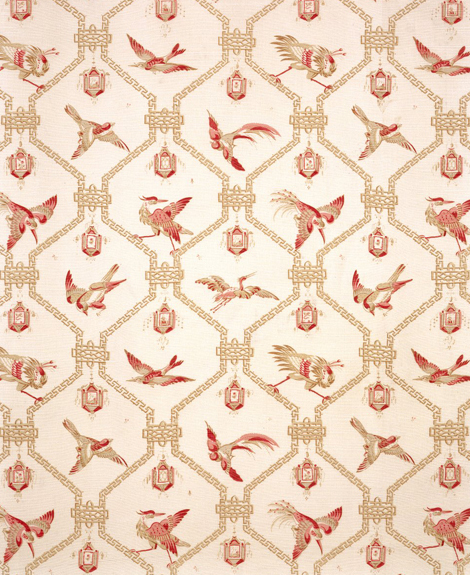 This textile presents embroidery in a subtler manner. Scattered throughout the fabric, with an elegant use of color and design, this pattern also offers additional texture to your curtains and accent pieces. Use this fabric with either contemporary or classical furnishings to complete the look of your living room or bedroom windows. 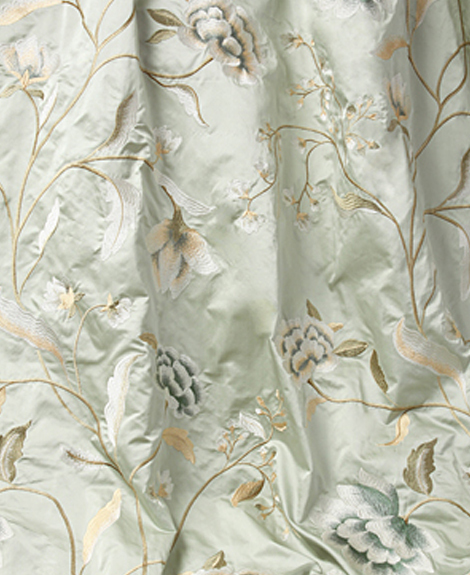 Elegant designs and unusual textures cover this royal-inspired, traditional textile. With its neutral pallet, this fabric can be used for luxurious window treatments without overtaking the other colors and patterns in the room. Perfect for formal living rooms with crown molding or carved wood furnishings, consider pairing it with linen-looking upholstery fabric. 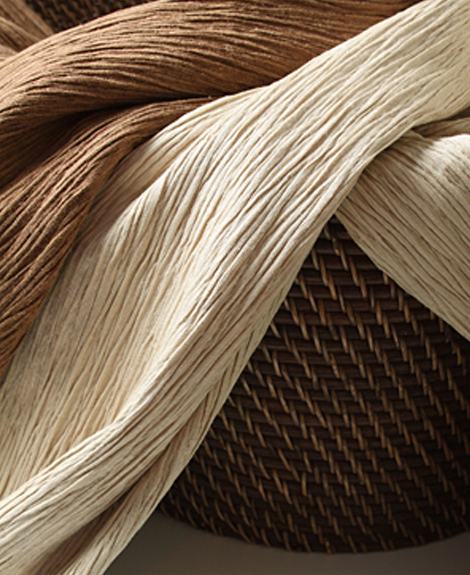 This loosely woven fabric is ideal for a more casually decorated room such as a den or office. Use as a sheer curtain or as a roman shade mounted inside the window frame. 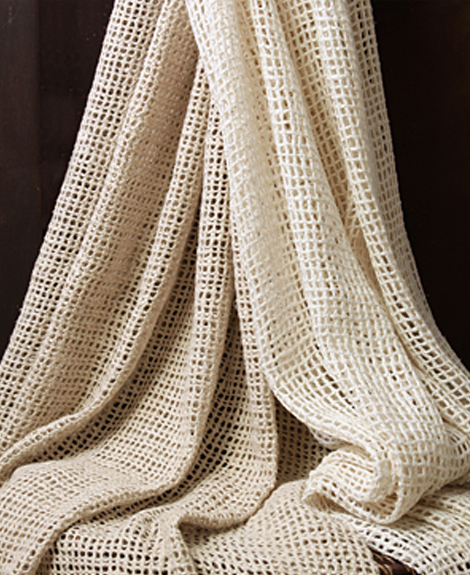 Its texture and open weave will give a modern feel to window treatments and can be paired with patterned valances. 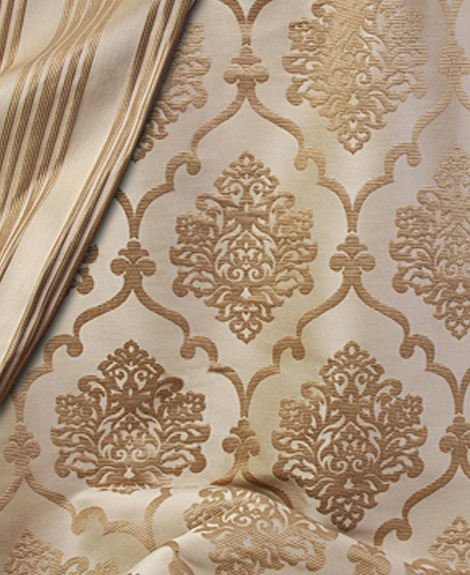 The weave in this upholstery fabric is designed in a traditional pattern, giving it an elegant and traditional look. Combined with its matching striped fabric, this textile is subtle enough to use on larger furniture pieces such as camel back sofas or wing chairs without competing with other fabric patterns in the room. This beautiful and classic fabric is sturdy enough to use to upholster furniture but elegant enough for a matching window treatment. The delicate blues and tans in this pattern bring the feel of sand and sky indoors, making it ideal to use in a traditional all season room or garden room. 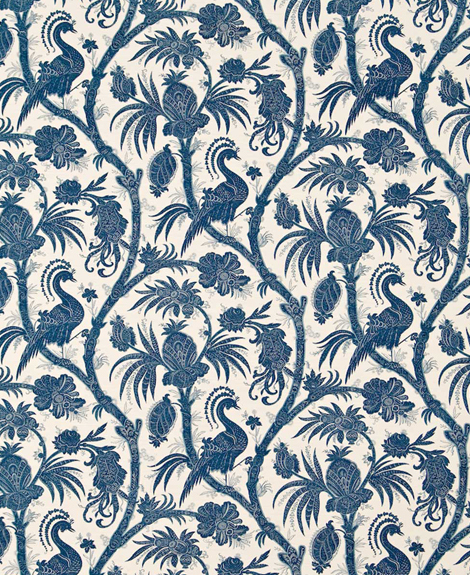 With its stylized blue peacocks, pineapples, flowers, and vines, this design has symbolized warmth and welcome for centuries. 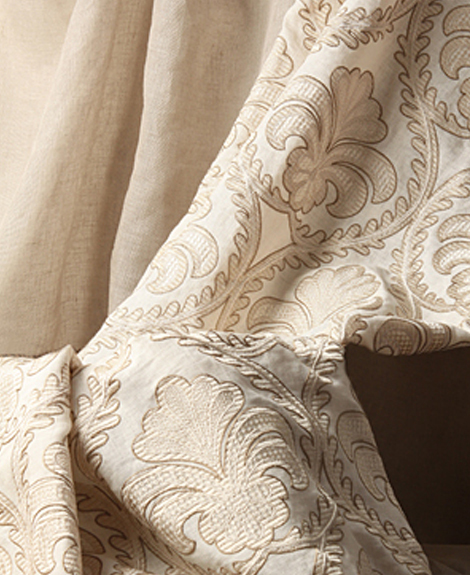 Although this fabric tends to be more “old world”, it is perfect for both traditional and modern decorated rooms. This fabric can be used in many kinds of window treatments as well as accent pieces. This Chinese-inspired textile brings a charming eclectic look along with a burst of color to your bedroom or sitting room. Perfect for a variety of window treatment styles, be sure to get extra fabric for throw pillows, lamp shades, or an ottoman. This fabric can be mixed with a flame stitch or stripe for added interest. Using texture as a design starting point, this fabric is perfect for window treatments in a casual, yet visually interesting room. Mix it with the clean lines of modern or contemporary furniture to enhance the ambiance of a family room or office. Add touches of a bold color in throw pillows or accent pieces to let the room “pop”.